What sparks your industrial flooring design inspiration? Solid colors and patterns, multi-colored chip and quartz blends, “faux stain” finishes—there really is no limit to our epoxy concrete floor ideas! 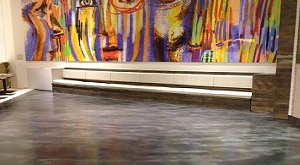 Check out the creative flooring photos you see here, and explore the different colors and blends. Then, let your imagination go! “Faux Stain” Metallics – These offer the flow and shimmer of stained concrete while performing like the industrial-grade floors they are. Multi-Colored Chip Blends – Achieve the aesthetics of high-end terrazzo at a mere fraction of the price—and without the extensive, ongoing maintenance. Colored Quartz Blends – Some say it resembles natural granite, others say it has a unique look all its own. Whatever your concrete floor ideas, we offer unlimited custom blends and design possibilities, all in a highly durable flooring system. Solids in Stock and Custom Colors – We’re experts at matching the colors, tones and shades that make your facility design unique—at little or no cost to you. High Gloss or Satin Finishes – Florock high performance topcoats come in a variety of gloss levels to suit your creative vision and your clients’ preferences. 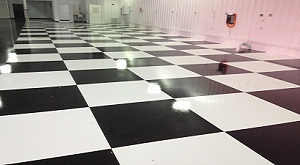 And these are just a few of the epoxy and other resinous concrete floor ideas we offer! Where is each color and blend to be placed? Will you utilize floor design to delineate facility traffic patterns, work areas or functions? Will you specify use of flooring strips to define and emphasize, or simply require that patterns be “taped off”? Will your spec include a scaled drawing of the floor pattern? 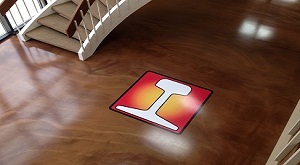 Does your client want their company logo or other message embedded in the floor? 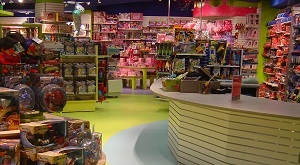 So many creative options—it’s what makes resinous flooring design so fun! And the best thing about it is that Florock flooring requires no special care, waxing or maintenance. You get incredible flexibility to implement the aesthetics, durability, high performance and easy care that your customers expect, along with an outstanding lifecycle cost. That’s what we call real flooring value.